This property has had 126 views in the last 3 days! 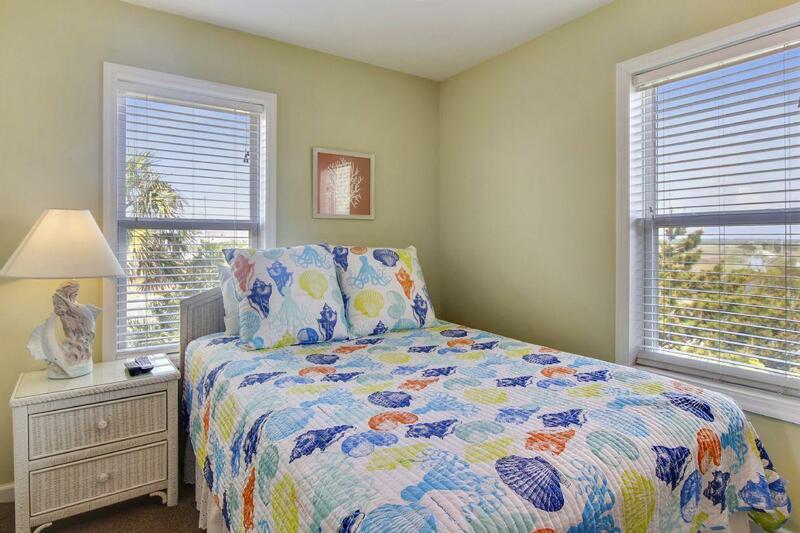 "Linens Included" terms: COMPLIMENTARY BED & BATH linens for any 7-night reservations in 2019! Includes all bed linens and 10 bath sets. 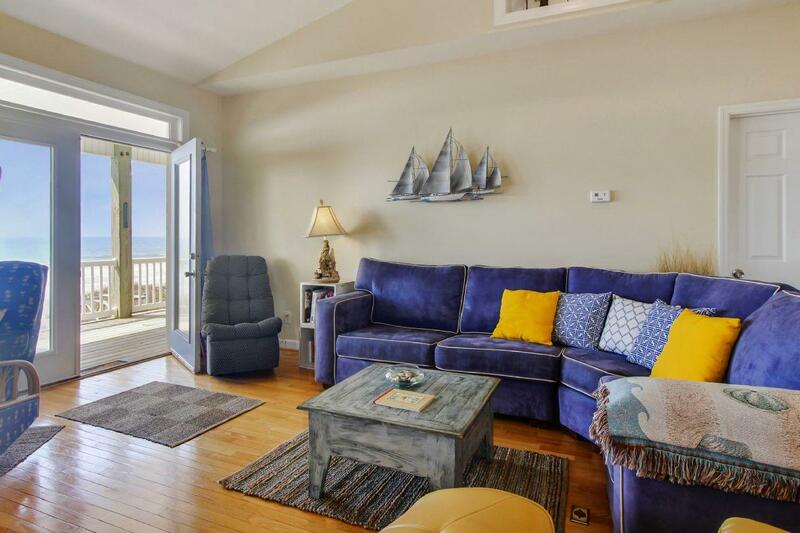 This huge five bedroom three and a half bath house has stunning unobstructed views of both the Atlantic Ocean and ICW. 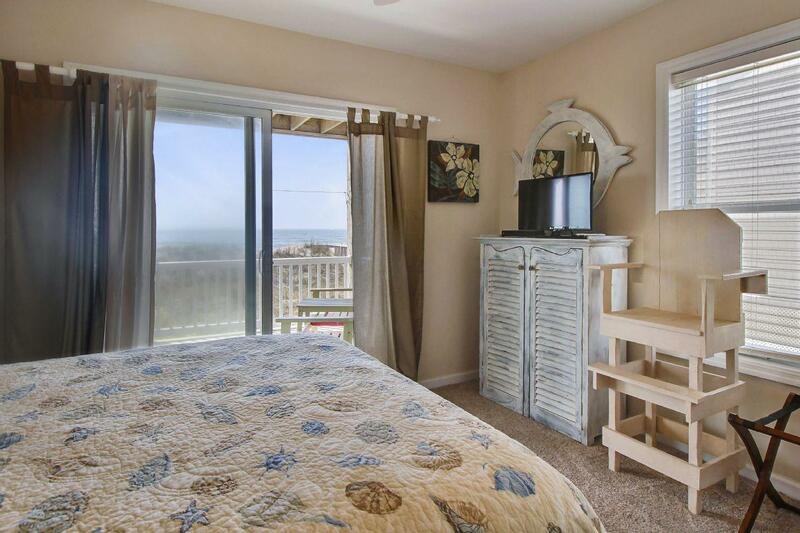 Relax on one of the two oceanfront decks and watch the dolphins play in the surf or the shrimp boats come home to port. Enter the home through a glass entry door onto a small landing and follow stairs up to the lower level. 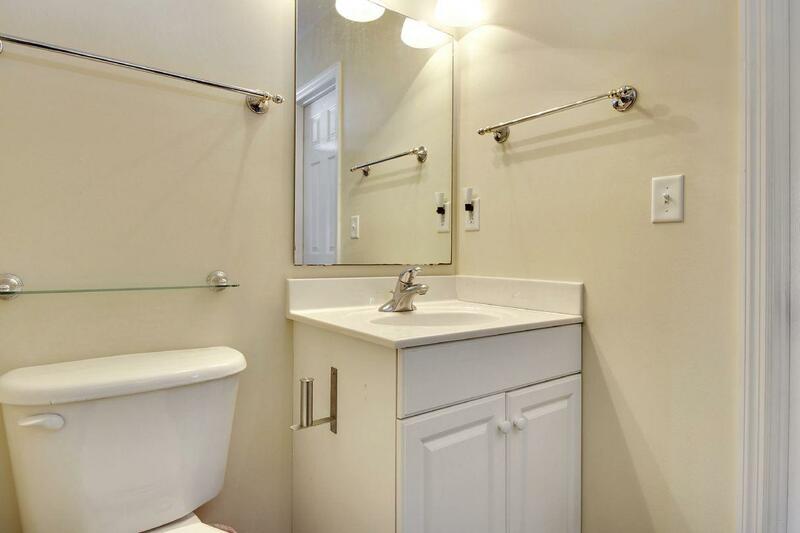 At the top of the stairs, you will find a large foyer, this area gives you access to four of the five bedrooms. 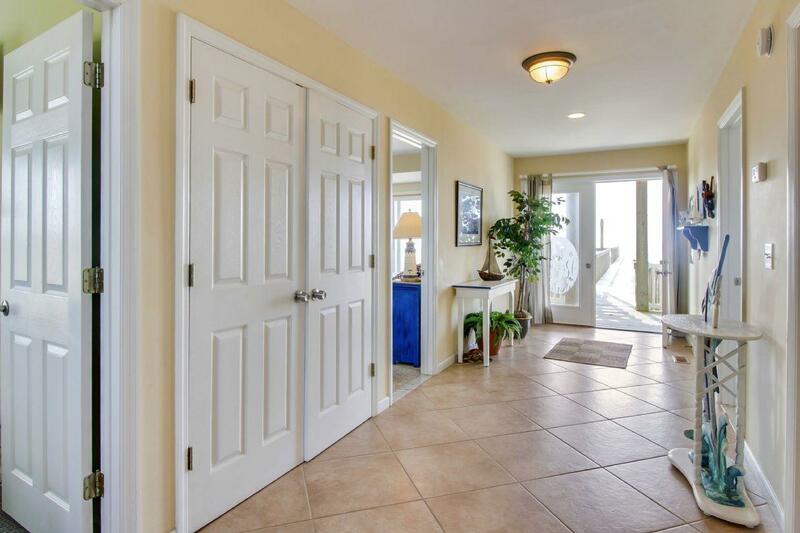 At the other end of the foyer are French double doors that open to the lower covered beach front deck. To your right are bedrooms 1 and 2. 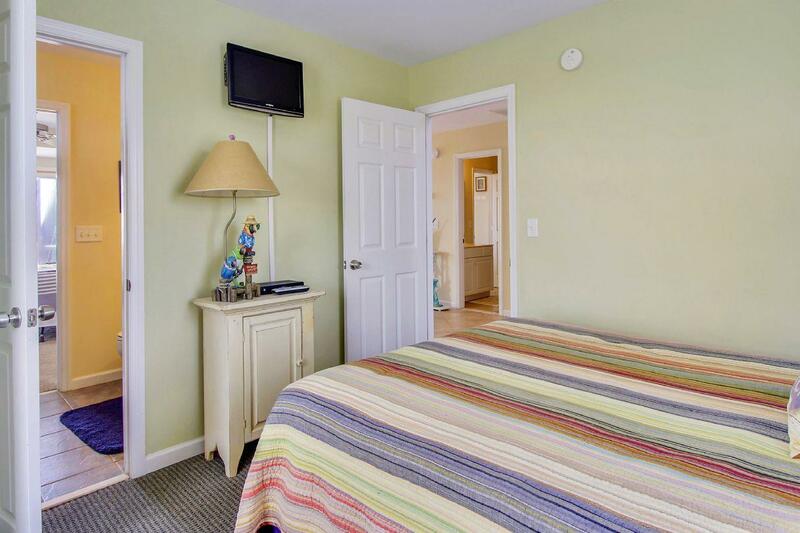 Both bedrooms feature queen beds, 38” flat screen TVs and share a Jack and Jill bathroom. 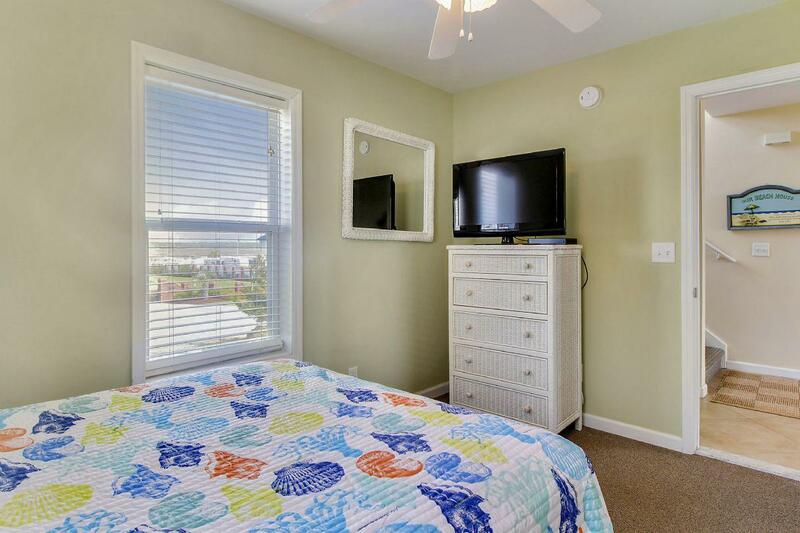 Bedroom 2 has sliding glass doors for private access to the deck. 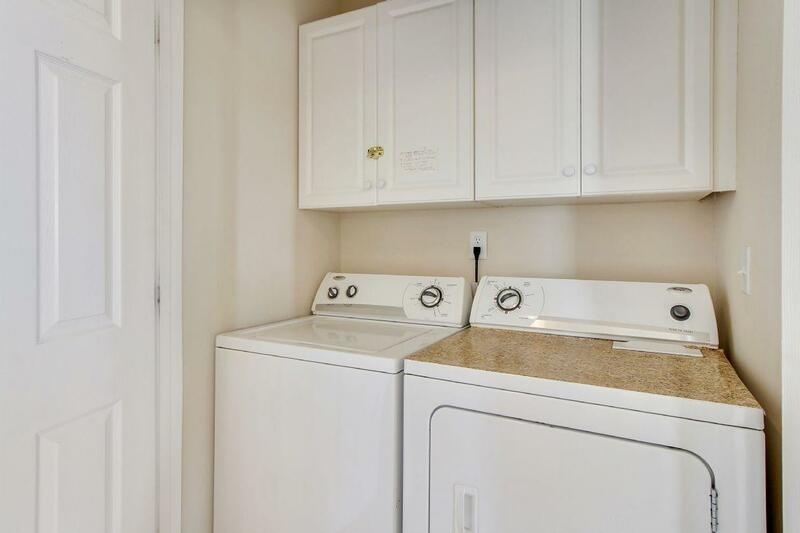 Bedrooms 3 and 4 are located to the left of the staircase with the washer and dryer between the two. Bedroom 3 has a queen bed and 13” flat screen TV. 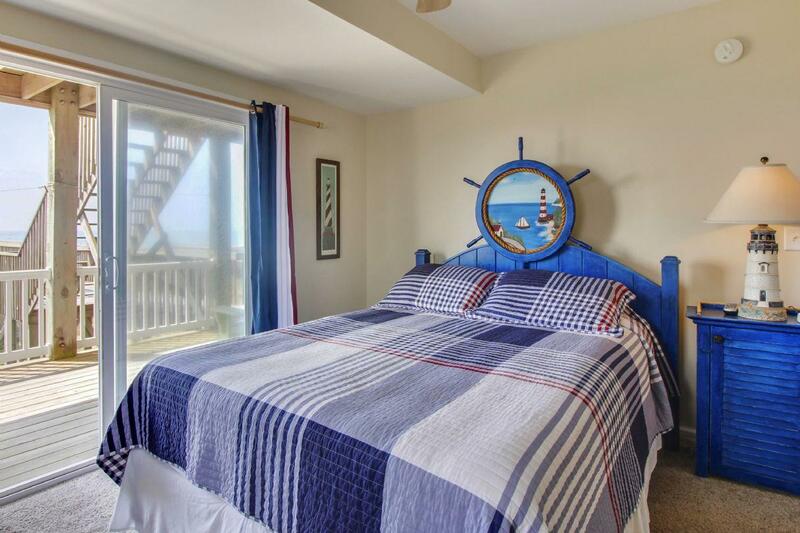 Bedroom 4 is located on the ocean side of the home and features a queen bed, 38” TV and sliding doors out to the covered deck. Following the stairs up to the main level you will find the living area. This area is gorgeous. 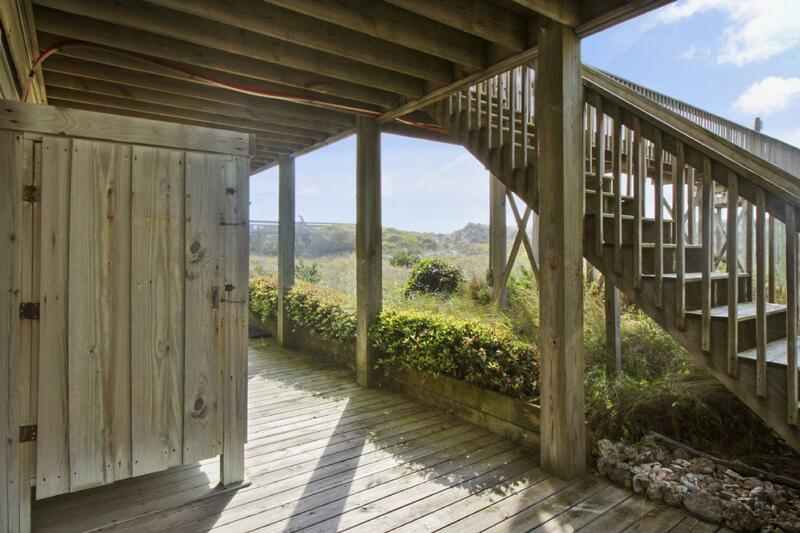 It has a vaulted ceiling, fabulous views and double French doors to the covered porch. To your left is the kitchen with bar seating. 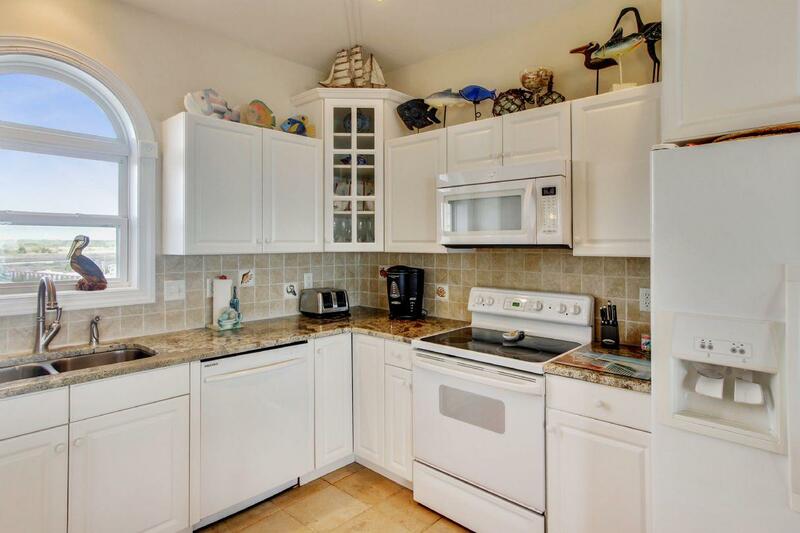 This kitchen is fully equipped for almost anything you could want to cook. Love to bake? Just Chillin’ has everything you need to whip up a cake or bake some brownies. 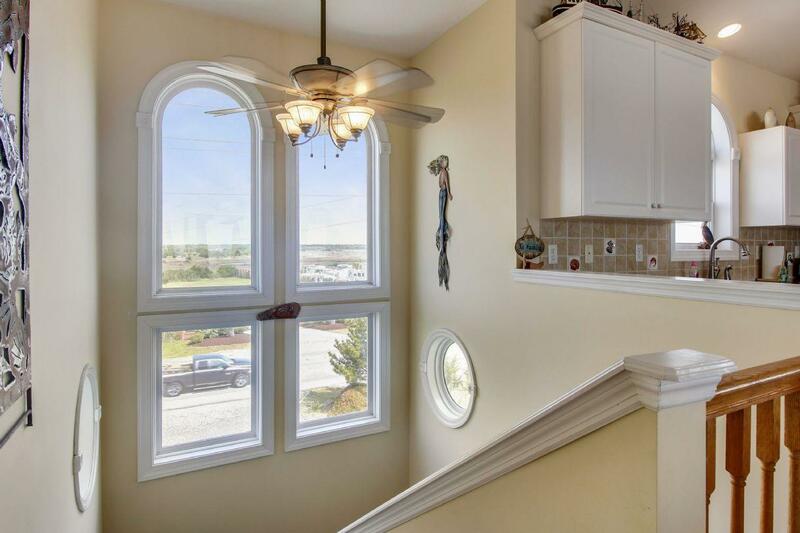 A fabulous four-foot porthole window in the dining area allows for expansive views of the bridge over the ICW. The large dining table seats eight and is centered between the kitchen and the wet bar. 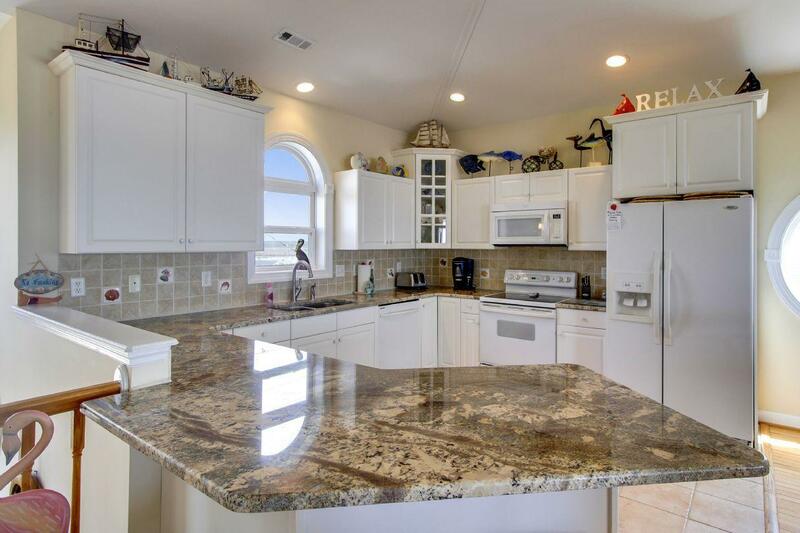 The sunken wet bar has a separate refrigerator, small sink and bar seating for four; perfect for enjoying happy hour while staring at the beach just outside the window. The living area to the right of the wet bar has a comfortable L-shaped sectional and two rockers facing the wall mounted 50” flat screen TV. 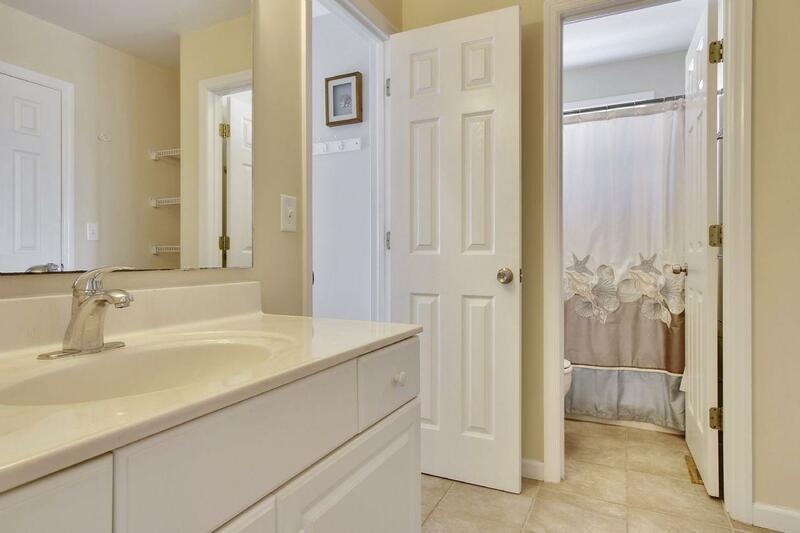 Off of the living area is a half bathroom and the master suite. 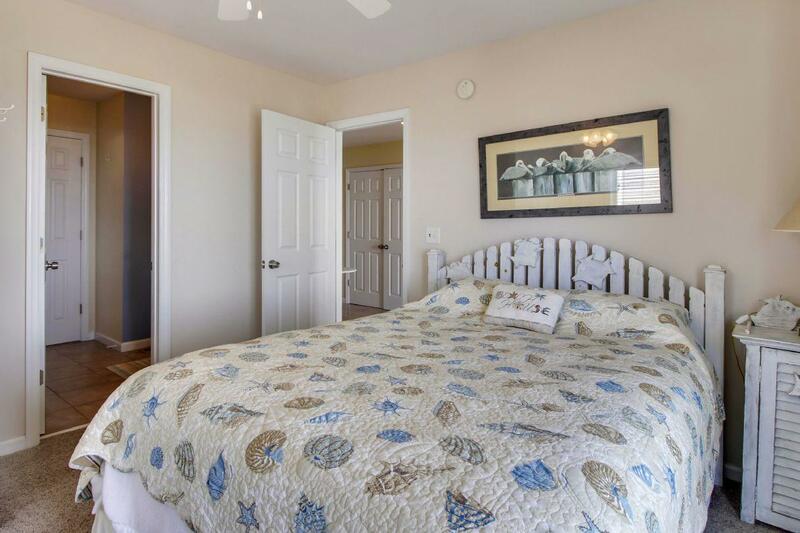 The master suite features a king bed, walk in closet, private full bathroom, 38” flat screen TV and double French doors to the deck. Outside you will find two ocean front covered decks with rockers and a table and chairs for enjoying your morning cup of coffee. A special feature of the deck is the secured child gate at the top of the deck stairs. You are seriously just steps from the sand! 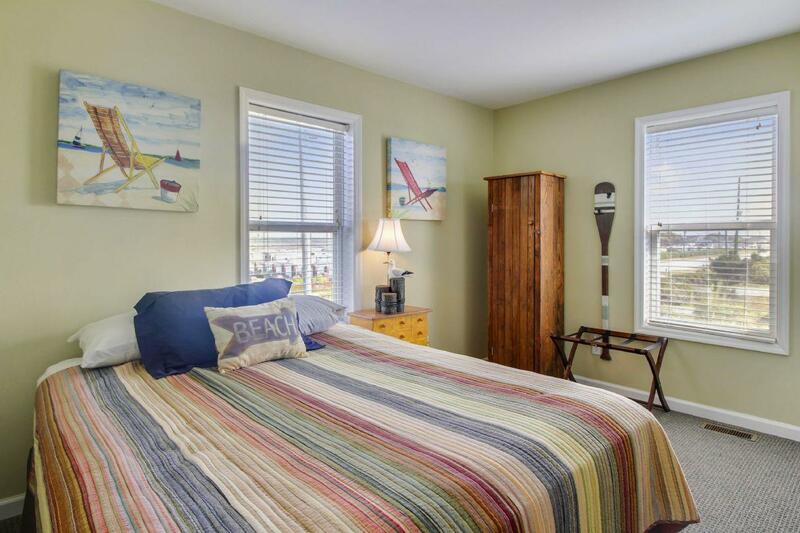 Following the boardwalk, to your private beach access, you will find a small alcove with built in bench seating and an outdoor shower to wash off before returning home from your day in the sun. 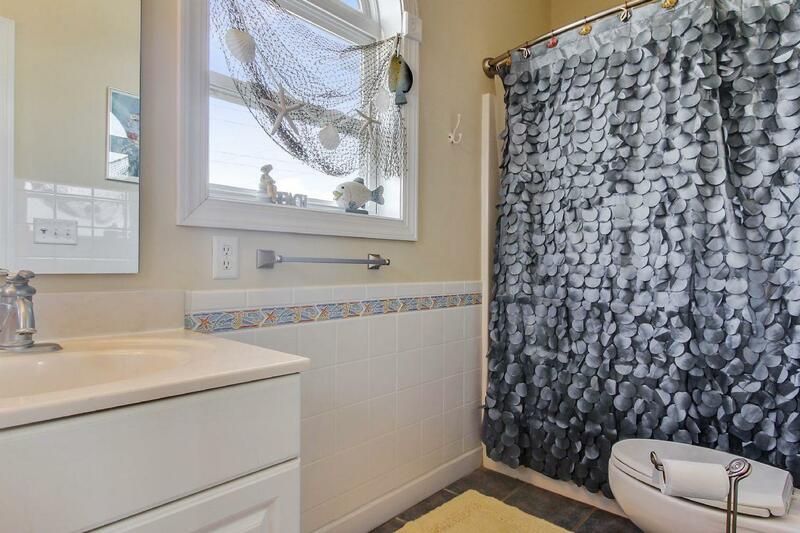 Ever take a shower with the sound of the waves crashing against the shore? 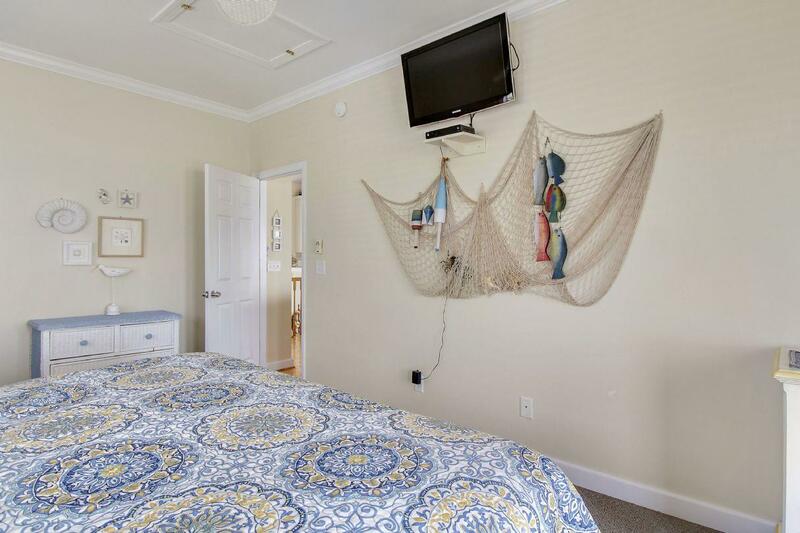 Just Chillin’ has an enclosed hot/cold shower located between the carport and the beach. 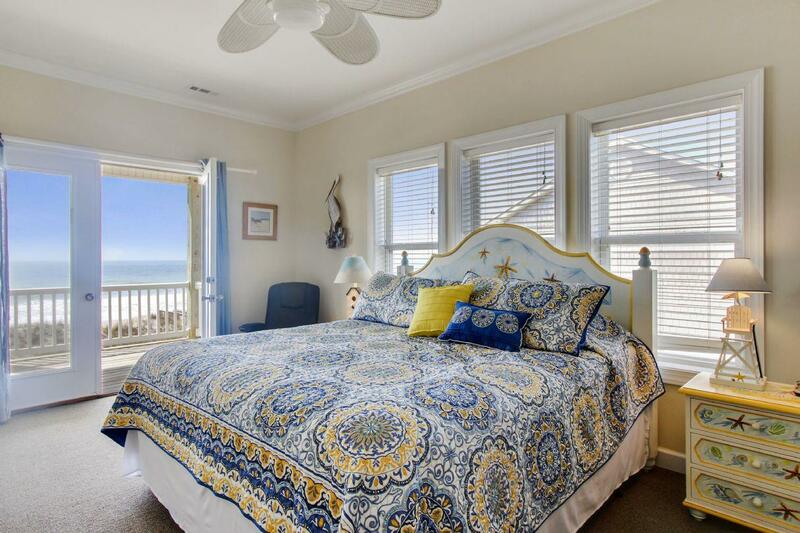 The whole home is tastefully decorated in a beach theme with hand painted one of a kind furniture. 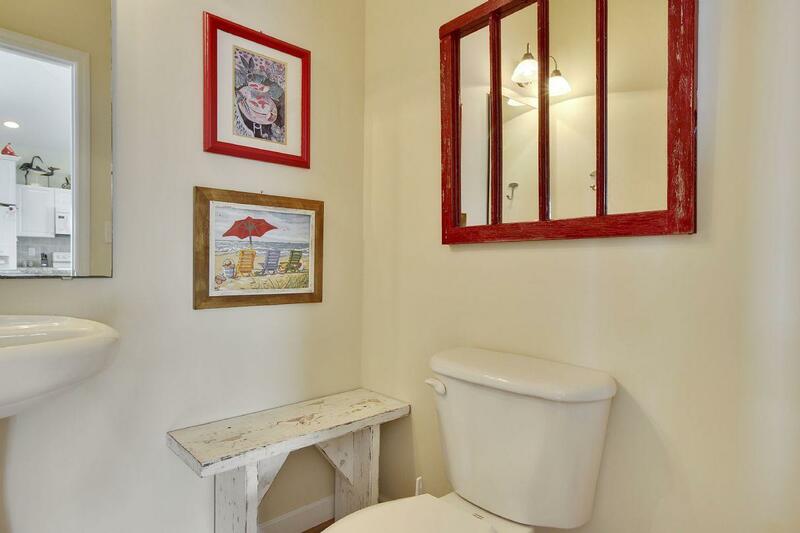 There are so many little touches that make this home special! 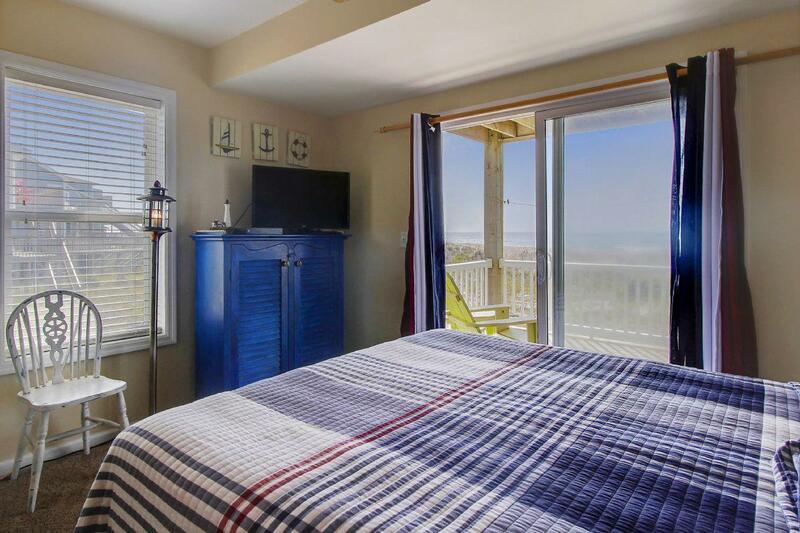 After one stay, you'll see why "Just Chill'n" in this luxurious beach-side retreat is the only way to go on Topsail Island! "Great House! Everything you could ask for. Thanks!"